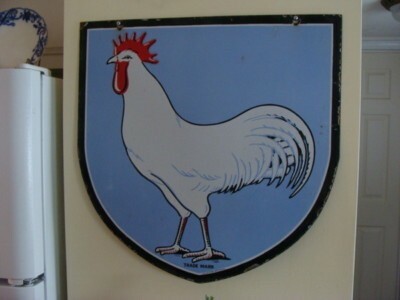 This 24″ shield sign is light blue and has a large chicken or rooster in the center. The chicken is white with a red head. There is no text, but there are two mounting holes on the top.